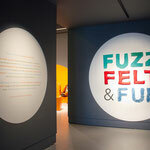 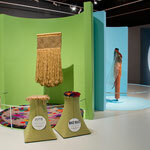 Felt Fuzz and Fur was an exciting interactive exhibition for children that celebrated the tactile nature of textiles. 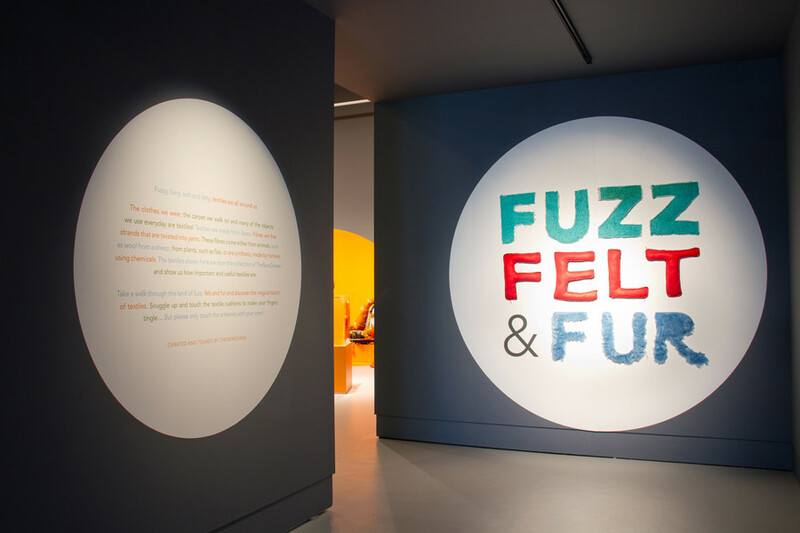 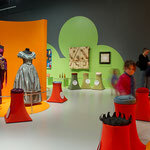 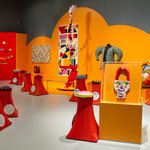 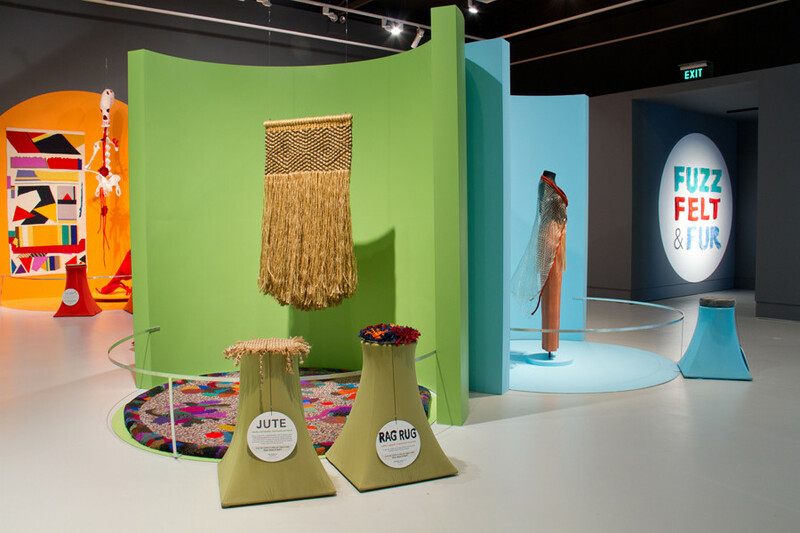 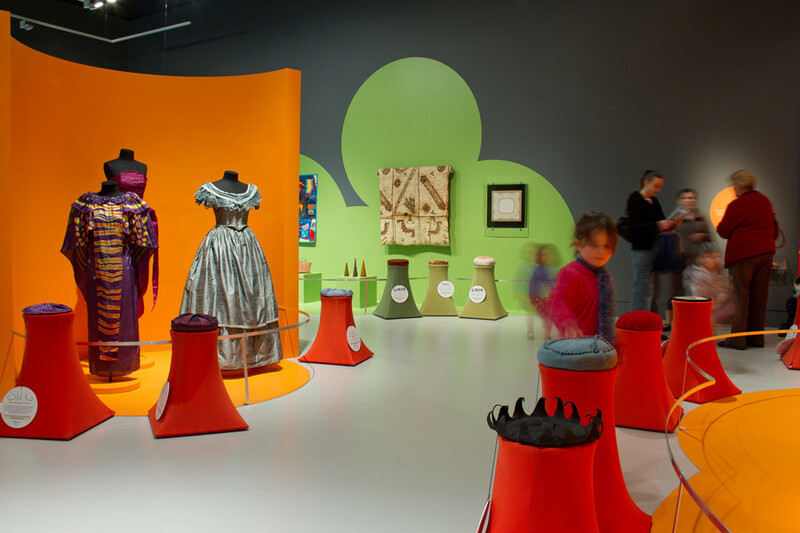 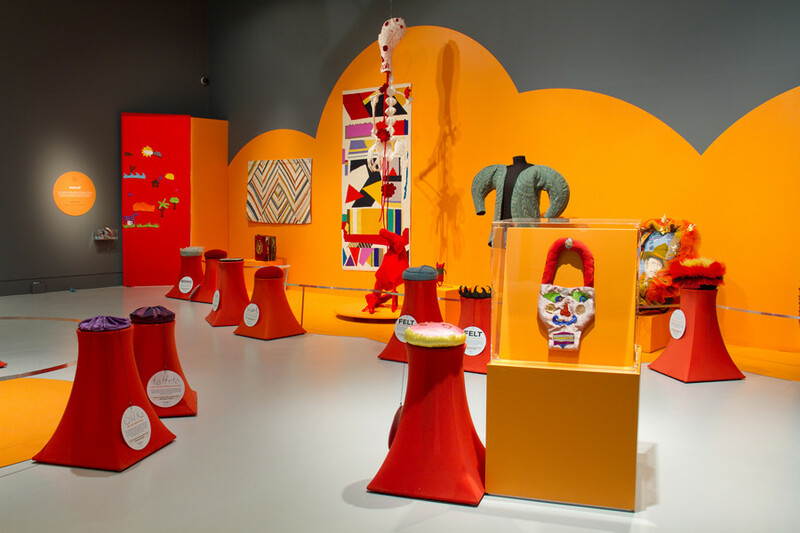 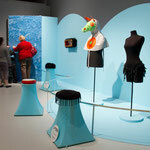 Featuring craft-based items from TheNewDowse collectionFelt Fuzz and Fur required a playfyl design that would allow children aged 3 to 10 to discover the qualities of the fabrics and explore the artworks in a vibrant and exciting environment. 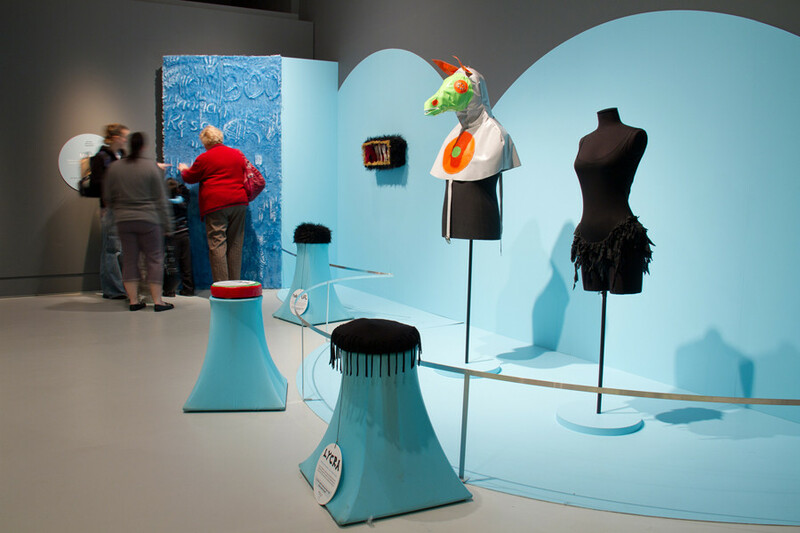 Designed as a touring exhibition, the plinths holding the touch samples collapse flat for transport, and the interactive wall elements can be easily reconfigured to new spaces.